Disputes are a fact of life. A. D. R. means Alternative Dispute Resolution, mostly applied to civil cases. When a civil case is instituted in a court of competent jurisdiction, the scenario usually is, that a long time is taken to serve the process, the defendants beat the law and submit their written statement/s after a long delay beyond the permissible statutory period of two months, lawyers and judges do not take any interest in screening out a false and frivolous case at the first hearing of the case under Order X CPC (in fact no such first hearing takes place), they seldom try to shorten the disputed questions of fact and law by application of Orders XI and XII of the CPC and mostly ignore the elaborate procedure of discovery, interrogatories, notice to produce etc. contained in those Orders, the issues of a case are seldom framed following the Code of Civil Procedure, the case takes several years to reach a settlement date and on the date of positive hearing half a dozen or more ready cases are fixed for hearing, resulting in the hearing of none. It delivers formal justice and it is oblivious of the sufferings and woos of litigants, of their waste of money, time and energy and of their engagement in unproductive activities, sometimes for decades. Most of us who are or were in the judiciary and were or are practicing in the Bar think that nothing can be done about it, or, at least, we have no role to play in the matter, either individually or collectively. We are drifting into a stage of aimlessness, inertia, inaction and helplessness. Many conscientious judges and lawyers have done what they could under the circumstances, but their sincerity has been drowned into the general morass of malfunctioning of the court system. Alternative Dispute Resolution refers to the means of settling disputes without going through legal procedures. Through ADR settlement of disputes can be done in many formal and informal ways but here ADR emphasis is mainly on the settlement of disputes by local community initiatives. It is an age-old tradition of society through which disputes are resolved amicably and which concerned parties accept. Normally authority does not challenge it. It is not institutionalized, but both the community members and the disputants accept it. There are different ways to resolve disputes. Some are resolved formally, others informally, and some are resolved as time passes by. In the recent past the alternative dispute resolution system (ADR) has been developed in the USA and the rate of success of ADR is significantly high, as the parties have been able to come forward to sit together to talk together and finally resolving their disputes. The prime aim of alternative dispute resolution system in civil justice delivery system in Bangladesh is closing the hostility between the disputing parties and restoration of harmony. In this system a high degree of public participation and co-ordination is badly needed. A general sense of satisfaction develops which helps in enforcement of the decision, when people’s participation is ensured as to tending evidence, asking questions and making opinions. Thus the reconciliation can be eased, which is the fundamental objective of ADR system. Negotiation, mediation and arbitration are the most common features of ADR techniques in Bangladesh. Let us discuss the three important ways of dispute resolution. Mediation” is voluntary process where a natural mediator attempts to help the disputing parties to reach an agreement that is acceptable to both sides and that will bring the dispute to an early conclusion without having to go to Court. Arbitration” means a process of adjudication of a dispute or controversy on fact or law or both outside the ordinary civil courts, by one or more persons to whom the parties who are at issue refer the matter for decision. “Negotiation” is a non-binding procedure in which discussions between the parties are initiated without the intervention of any third party with the object of arriving at a negotiated settlement of the dispute. “Med-Arb” is a procedure which combines, sequentially, conciliation/mediation and where the dispute is not settled through conciliation/mediation within a period of time agreed in advance by the parties, arbitration. For the first time in our legal system the provision with regard to ADR has been introduced by amending the Code of Civil Procedure. In chapter V of Artha Rin Adalat Ain, the provisions of ADR have also been incorporated. Surely, this concept is a denovo in our civil justice delivery system. Now ADR has come within the domain of civil procedure code. The Civil Procedure Code (Amendment) Act, 2002 has been enacted to introduce Alternative Dispute Resolution (ADR) system for early and consensual disposal of civil suits. Section 89A and 89B have been inserted to allow parties to settle their disputes in suits, through mediation or arbitration. In the mediation procedure, the court may take initiative to settle the dispute in the suit by itself or by making reference to independent mediators. Under section 89B parties will be allowed to withdraw pending suits and have those settled through arbitration. The provisions have been made effective from 1st July 2003. ADR system is gaining popularity. This procedure will help to reduce the huge backlogs of civil cases in courts. Public confidence in the judiciary will thereby increase. Access to justice will be expanded. The provisions will also help develop a new culture of consensual settlement of disputes doing away with the existing adversarial procedure. It will help protect and preserve cohesion and fraternity in society. 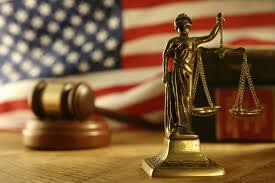 Of the mediator here the advocate or any other person may be hired for mediation. In our legal system, money lent by financial institutions/banks to individuals, private limited companies, public limited companies, corporations, partnership firms, societies, co-operatives, proprietorship firms etc. when due for default, is realised through money suits, suits for foreclosure, mortgage by instituting the same to competent civil courts. The civil courts were burdened with other businesses and such suits of banks consumed time for disposing of. The delay caused made the bank sector suffer for non-realisation of dues in time and the bankers gathered bitter experience in realising the same. To remove this difficulty, the government enacted a special piece of legislation named “The Artha Rin Adalat Ain, 1990” which had gone under some changes by way of amendments since its inception. The law brought changes to a great extent in the administration of justice delivery system for regulating those suits but it failed to fulfil the expectation of the legislators/bankers to recover the dues expeditiously from the defaulters. The thinkers on the subject gave second thoughts to frame a new law and ultimately the legislature passed “The Artha Rin Adalat Ain, 2003” (hereinafter Adalat) by repealing the earlier one. The law came into force on 1st May 2003 except sections 46/47 which came into operation on 1st May 2004. Within a short span of time, the law has gone under an amendment by the Artha Rin Adalat (Amendment) Ain, 2004 which reflects weak draft of the law. I have been working as a Judge of the Adalat for more than two years. I have taken no pain to apply the laws during my business hours but at the same time I have seen that some provisions of the laws are acting as barriers in discharging my responsibilities. I shall make an endeavour to focus on those and other allied subjects in this writing. There is no such legal provision in the Environment Court Act, 2000 like the present one. Therefore section 4 (4) and section 4 (10) should be omitted, and the provisions if so omitted, there would be no practical difficulty to appoint the Joint District Judges to the Adalat like the Environmental Courts. Section 19 has provided provisions for setting aside the ex parte decree but it does not make any provision for notifying the plaintiff bank like Order 9 Rule 13 of the Code of Civil Procedure 1908. As a result, the plaintiff remains ignorant about restoration of the suit. This anomaly should be removed by inserting appropriate provision. Section 20 of the law has given finality to the order, judgment and decree of the Adalat. In spite of that the defaulter(s)/borrower(s) is/are challenging the same in the writ jurisdiction of the High Court Division under Article 102 of the Constitution of the People’s Republic of Bangladesh and obtaining stay orders from the High Court Division. In a recent discussion on “Money Loan Court Act 2003” organized by the Association of Bankers, Bangladesh (ABB), the Governor of Bangladesh Bank asked the banks to take special measures to recover bad loans as the defaulters filed 1,768 writ petitions in the High Court for such loans amounting to Tk 6445 core. He told that the banks cannot recover the loans due to stay orders from the court, and asked the monitoring cells of banks to take up these issues seriously and hire efficient lawyers to move the cases of loan default.The Daily Star dated June 2, 2006). It is observed from regular business of court that the banks have been refraining from taking any step against the stay orders in writ petitions. It is seen that the banks let them (the defaulters) do the same with consent. This attitude of the bank should be changed and effective steps should be taken to face the legal battle with the defaulters. Apart from the aforementioned barriers, the law has been playing a very vital role in realising the loan from the defaulter(s). Its achievement in loan recovery has been so immense that the scenario of defaulting loan has improved significantly with number of pending Artha Rin Suits reducing with expectancy rate. The loan defaulting culture would further be reduced if the barriers can be removed as soon as possible. Generally disputes relating to property, family matter i.e. distribution of property, dissolution of marriage, maintenance, guardianship could be dealt by shalish. The Family Courts Ordinance, 1985 speaks for the settlement of dispute through conciliation inside the Court before the formal proceeding of the trial started. The court may initiate a pre trial hearing to settle the disputes relating to dissolution of marriage, maintenance, and dower, restitution of conjugal rights as well as guardianship and custody of children. Besides, the Muslim Family Laws Ordinance 1961 empowers the Union Parishad to form an Arbitration Council for reconciliation between the parties wishing to dissolve their marital tie through Talaq and to deal with the polygamy. i) When the written statement is filed, the Family Court shall fix a date ordinarily of not more than thirty days for a pre-trial hearing of the suit. ii) On the date fixed for pre-trial hearing, the Court shall examine the plaint, the written statement and documents filed by the parties and shall also, if it so deems fit, hear the parties. iii) At the pre-trial hearing, the Court shall ascertain the points at issue between the parties and attempt to affect a compromise or reconciliation between the parties, if this be possible. iv) Then, where a dispute is settled by compromise or conciliation, the Court shall pass a decree or give decision in the suit in terms of the compromise or conciliation agreed to between the parties. v) If no compromise or reconciliation is possible, the Court shall frame the issues in the suit and fix a date ordinarily of not more that thirty days for recording evidence. vi) After the close of evidence of all parties, the Family Court shall make another effort to effect a compromise or reconciliation between the parties. pronounce judgment and, on such judgment either at once or on some future day not beyond seven days of which due notice shall be given to the parties or their agents or advocates, a decree shall follow. Bangladesh has enacted the Arbitration Act 2001 (the Act). It came into force on 10 April 2001, repealing the Arbitration (Protocol and Convention) Act 1937 and the Arbitration Act 1940, legacies of the British Raj in India. The new Act was again amended in 2004 in certain respects. Such legislative steps were urgent in the face of increasing foreign investment in Bangladesh in various sectors, especially in natural gas and power, and the ever-growing export trade with the rest of the world. The Act consolidates the law relating to both domestic and international commercial arbitration. It thus creates a single and unified legal regime for arbitration in Bangladesh. Although the new Act is principally based on the UNCITRAL Model Law, it is a patchwork quilt as some unique provisions are derived from the Indian Arbitration and Conciliation Act 1996 and some from the English Arbitration Act 1996. In Bangladesh, the present law of arbitration is contained mainly in the Arbitration Act, 1940, there being separate Acts dealing with the enforcement of foreign awards. There are also stray provisions as to arbitration, scattered in special Acts. Three types of arbitration are contemplated by the Arbitration Act of 1940, namely (i) Arbitration in the course of a suit, (ii) Arbitration with the intervention of the court, and (iii) Arbitration otherwise than in the course of a suit and without the intervention of the court in practice, the last category attracts the maximum number of cases. Under the Act of 1940, an arbitration agreement must be in writing, though it need not be registered.This also amounts to an “arbitration agreement” for the purposes of the Arbitration Act, 1940. Once an arbitration agreement is entered into for submitting future differences to arbitration, it is not, necessary to obtain the fresh consent of all the parties for a reference to arbitration at the time when the dispute actually arises. 6) Matching Government and NGO efforts. 7) A. D. R. will have a-smooth transition if it is introduced on a pilot court basis. The performances, results, reactions among pilot court judges, practicing lawyers and the litigants should be carefully monitored and recorded and suitable adjustments in the A. D. R. project should be made at each stage of extension after an exhaustive study of the experiences gained. SK Golam Mahbub, Alternative Dispute Resolution in Commercial Disputes: The UK and Bangladesh Perspective 2005, at p. 21.